It is a well documented fact that my husband (Zachary) is not a fan of sweet things. Cookies, cakes, fudge, candy – none of it tempts him. It drives me crazy. However, even his lack of a sweet tooth cannot resist my peanut butter cookies. Probably because they are so nutty and awesome, rather than being just something sweet. 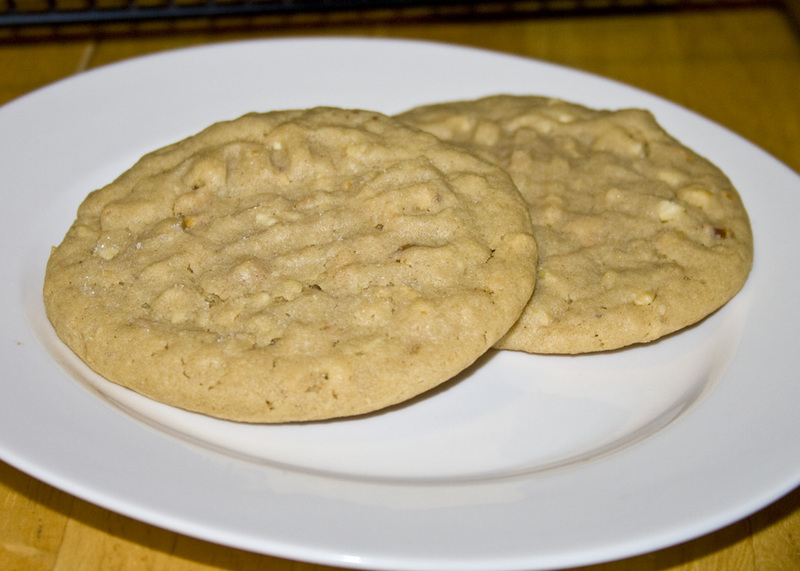 There are a couple keys to a great peanut butter cookie. First of all, extra super chunk peanut butter is a must. Mine also have a full cup of chopped peanuts – imagine that, actual peanuts in a peanutty cookie. Secondly, make sure you take these cookies out when the edges are just starting to golden. They won’t look done, but trust me, if you want a soft cookie – take them out of the oven.